Donna Morgan Size Chart Exude grace and beauty in this elegant, chiffon gown. 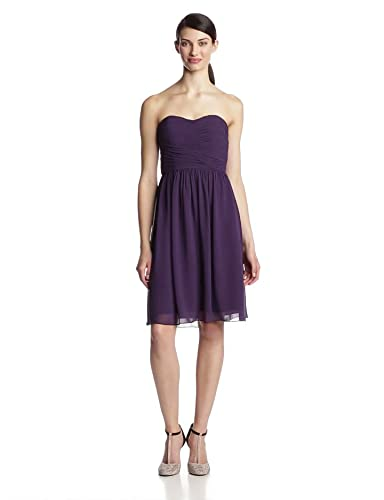 Strapless, A-line gown features a tonal, semi-sheer overlay. Ruched sweetheart neckline in a crossover design. Concealed back zipper with hook closure. Side boning and soft cups provide support. Straight hem. Fully lined. 100% polyester,Lining: 100% acetate. Dry clean only. Imported. Measurements: Length: 30 in Product measurements were taken using size 2. Please note that measurements may vary by size.